As part of a project I've been working on I had to come up with a 'copy-cat' image based on a recreation (with my interpretation) of a famous piece of art. I have to say that I lacked great inspiration on this one and started doing some web searches for some idea of what I could do. As Vincent Van Gogh has always been one of my most favorite painters, I sought some inspiration from old Vince. As part of this search I stumbled on to several posting about artists who, several years ago, complied a number reworks of classic historical photographs in legos! 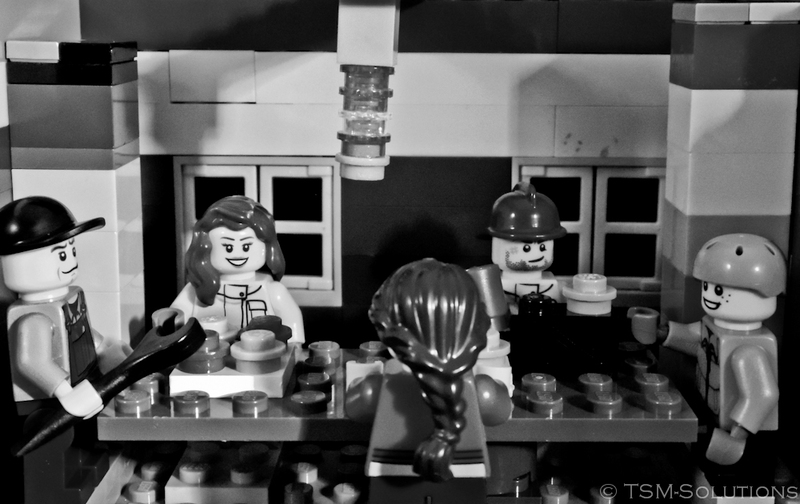 The artist is Mike Stimpson from the UK and I recently found his flickr page on this: Classics in Legos He is not the only one doing this but his work is so good I'll just have to attribute this all to him. Check him out on Redbook. So...how did I do? I already know that the lighting was key in the original images and that I didn't really get that aspect right. I will be working some more on this soon. I have to say that I learned how hard it is to do this and...how those stupid smiles on the Lego people really grate on you after a while...I'd love some feedback on these images. Last Edit: 6 years 1 month ago by blackcloudbrew. That is really cool. Very well done Tim. I particularly like your final version. Will this be an ongoing project? i.e. will there be more Lego masterpieces to come? Like Tiffpix I do like what you have done. Your interpretation of the classic painting is inspired and creative, and I applaud your inventiveness. I would chose the film version over the digi B&W, but I'm not sure why. Softer, more depth to the shades of grey - I'm not sure. 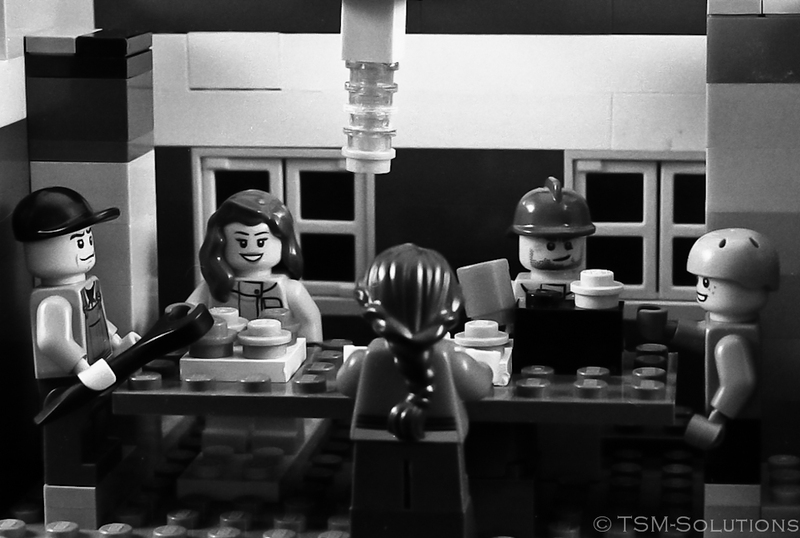 There was a photog a few years back that did a 'Lego A Day' project and it was very entertaining. But in the end I think he was tiring of the whole deal. I see them as more maniacal smirks than smiles. Lego people are just a touch evil. This is a brilliant idea! I like the colours you chose for the elements, they transfer well into B&W for this scene. Thanks, I have to work on the lighting though as AmandaPanda has reminded me off line. Given the limitations of Lego-ization, I think you did well, Tim. While I agree with your little panda that the lighting doesn't match, getting that right in this case goes outside of photography and into skills with small scale electrical and electronic projects. 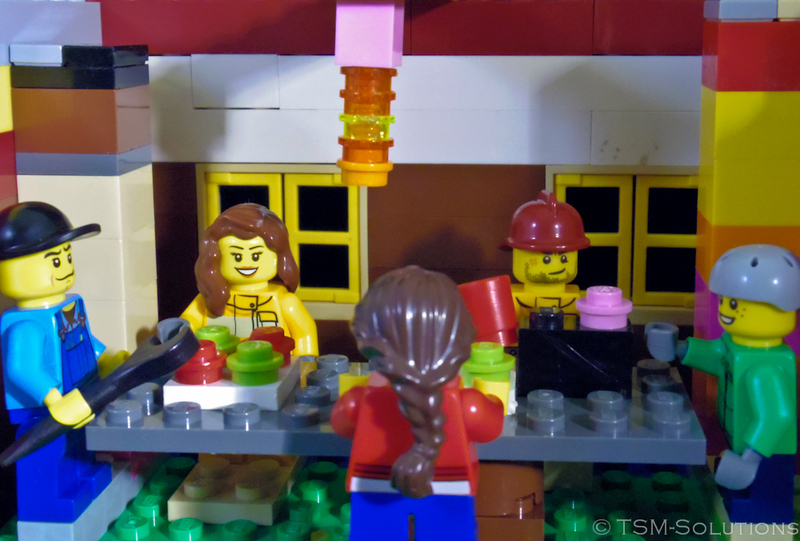 In order to even try to imitate the lighting of the original work, the only method I could think of would be a single naked LED on wires long enough to position it in the frame behind the Lego light fixture. Not a project for everybody. The Stepford grins of Lego people make it impossible for them to seem like bygone poor folk, but again that's something you can't change.